Now that I’ve got steam, I get to be constantly pestered by e-mails sending me keys with which to identify that I am myself. To save a few steps in this annoying, repetitive process I wrote a tiny bash script which finds the key in an e-mail from steam and uses zenity to pop it up on my screen, then added a filter in Evolution Mail to mark these “steam verification” messages as read and pipe them to the pop-up script. This allows me to copy the key with a double-click and paste it into steam with a middle-click, without having to poke around in my mail client for the e-mail and the place where the key is mentioned in it. # Displays a pop-up showing a Steam activation key piped to it by a MUA. #/bin/bash # Displays a pop-up showing a Steam activation key piped to it by a MUA. # In the e-mail the steam key is wrapped in <h2> tags # Author: Siôn Le Roux <sinisterstuf@gmail.com> # read e-mail from pipe while read -r line; do # find <h2> buffer=$(echo $line | grep 'h2') if [[ ! -z $buffer ]]; then #strip surrounding <h2> tags steamkey=$(echo $buffer | sed -e 's/<\/\?h2>//g') fi done # display the steam code in a pop-up zenity --info --title="Steam Key" \ --window-icon="/usr/share/pixmaps/steam.png" \ --text="<tt><big><b>$steamkey</b></big></tt>"
The wiki-like note taking application, Tomboy, maintains a list of user-written add-ins on its website, almost none of which were available in the Arch Linux repositories. Recently I learnt how packages are created for Arch Linux and read up on the standards, so I ‘adopted’ an ownerless add-in package from the Arch Linux User Repository and packaged 6 more. Finally, I created a meta-package called tomboy-extras which contains nothing but depends on all the working Tomboy add-ins (tested on my laptop) in the AUR, to easily install all add-ins at once. I created a gist on GitHub for each package’s build script and made a repository containing the meta-package’s PKGBUILD file and each gist as a git sub-module named after the package name. The README file in tomboy-extras’ git repository contains links to the gists for the add-ins’ PKGBUILDs so that they can be found easily. So, if you would like to contribute to one of them, feel free to fork the relevant gist, or leave a comment there, and if you would like to contribute to tomboy-extras itself or have an add-in included, just fork tomboy-extras and send a pull request; I’ll probably be adding more add-ins to it myself already. Also, if you do use any of these packages, please give them a vote on AUR so that we can see how many people use them. If they’re popular, they may be included in the official repositories, who knows! 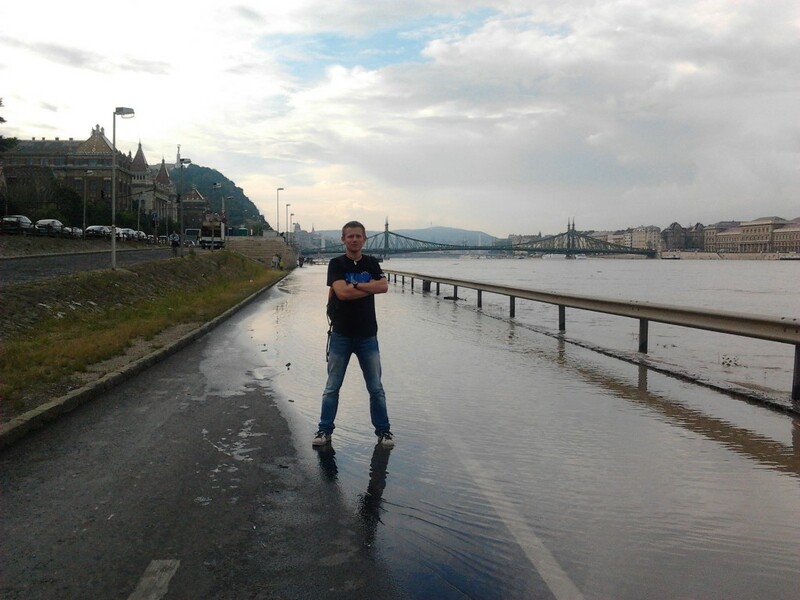 Me, standing on the street near Petőfi bridge with the Danube around my feet.